The secrets of one of the most remarkable technological finds from Ancient Greece have been probed for the first time using powerful X-ray imaging equipment, specially shipped to Athens. 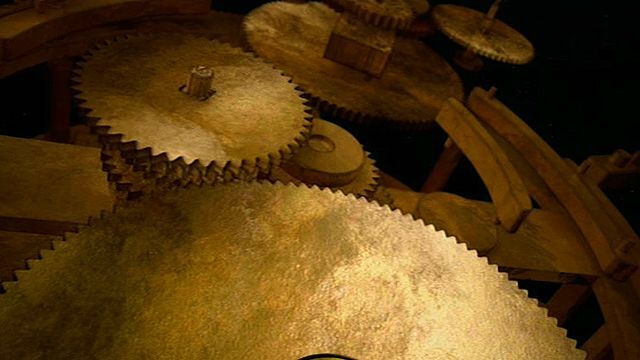 The Antikythera Mechanism as it is known, is regarded as the world's oldest "computer" and is thought to have been used to predict solar and lunar eclipses and record dates of the ancient Olympiad. Its remains were recovered from a Roman shipwreck off the southern coast of Greece in 1901. BBC Four's The Two-Thousand Year Old Clock will be broadcast on Thursday 10 May 2012 at 2100 BST. Or watch afterwards on BBC iPlayer.